On the 306th birth anniversary of Charles-Michel de l'Épée, Google dedicated an animated doodle to the first man who created a system to teach sign language to the deaf people. 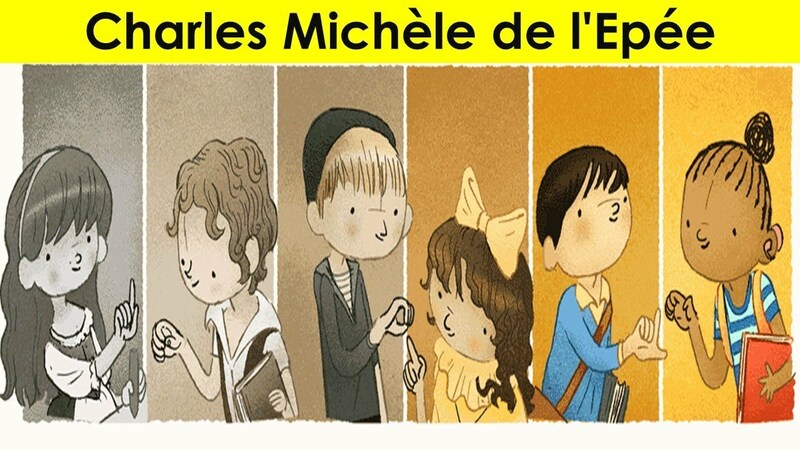 Popularly known as the "father of the deaf", Charles-Michel de l'Épée was a philanthropic educator who founded the first free school for the deaf in 1760. Born in an aristocratic family in Versailles,France, in 1712 and dedicated his life to philanthropic education. He got interested in sign language after a chance encounter with two deaf girls in slums of Paris, who used signs to communicate with each other. Though Épée's original interest was in religious education, his public advocacy and development of a kind of "Signed French" enabled deaf people to legally defend themselves in court for the first time. Two years after his death, the National Assembly recognized him as a "Benefactor of Humanity" and declared that deaf people had rights according to the Declaration of the Rights of Man and of the Citizen. In 1791, the Institution Nationale des Sourds-Muets à Paris, which Épée had founded, began to receive government funding. Épée died at the beginning of the French Revolution in 1789, and his tomb is in the Church of Saint Roch in Paris.